After interviewing three candidates in a public session Dec. 10, the Newberg School District board of directors appointed Ines Peña to fill the Zone 4 position vacated by Todd Thomas. Zone 4 covers the southeastern part of the district, stretching to the east of South Everest Road and to the south of Highway 99W and Old Parrett Mountain Road. Peña, 25, will take the oath of office in January and serve through June 2019 before running for the position in a special election. If elected, she will serve the remainder of Thomas's term – until 2021 – in order to keep the position on its normal electoral cycle. 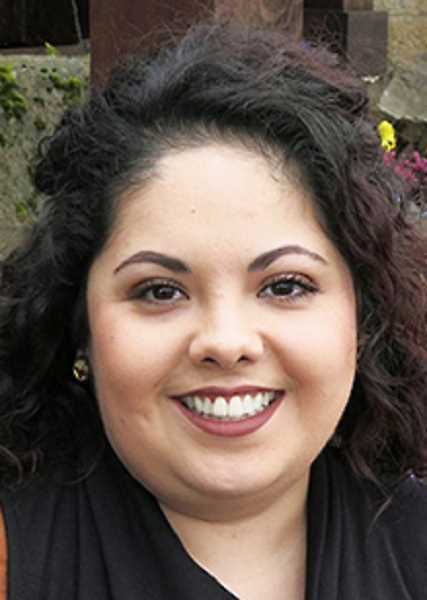 Peña — a graduate of Newberg High in 2011 and Linfield College in 2015 — was the first Latina to run for school board in Newberg when she ran for Thomas's seat in 2017, and she will be the first to serve on the board. "I have a purpose and if that purpose is to lead the way for others or make a path for others, then I'm willing to do it," she said. "It's time to begin changing the face of leadership in our community." Peña works as deputy director of CAPACES Leadership Institute — a nonprofit based in Woodburn that encourages Latinos to get involved in politics and develops leaders at Latino-led political organizations throughout the state. According to CAPACES, more than 80 percent of those served by their organization are Latino immigrants or come from Latino immigrant families, and most had no prior leadership training. In her role on the Newberg school board, Peña said she will provide representation that has been lacking in recent years and advocate for ways to better serve the Latino community. "I really want to bridge the gap so that our community feels welcome and is more inclined to participate," she said. "I want to create a safe space for students and their parents and make sure their needs are addressed. In the current political climate, there is a lot of fear in our community." Peña started as a fundraiser at CAPACES before working her way up to deputy director. Through her work she has developed a passion for getting people involved in their communities. She is hoping her appointment — and, if all goes well, election in June — will encourage other Latinos to run for office or become active members of the Newberg community, whether in the school district or on a local organizational level. Graduating from Newberg High just seven years ago shapes Peña's perspective when it comes to meeting the needs of Zone 4 residents. One of particular concern to her is the language gap. "Something that might seem insignificant, but is very important to my community, is access to materials and having them in the language that people understand," she said. "That is a change that I really want to see moving forward. Can we have interpreters at these meetings? What will it take for our community to participate?" While she is proud to have made history, Peña said the most important work lies ahead: Serving every Zone 4 resident with an eye toward underrepresented communities. Building a network of connections throughout the district will be important to achieve the goals she has in mind, as will being a voice for the oftentimes voiceless when she speaks and makes decisions at board meetings and other district events. "I'm really excited about opening the door for new opportunities for others," Peña said. "Everything I learn and the people I meet will be extremely valuable. Knowing people can serve as a benefit to build a community."